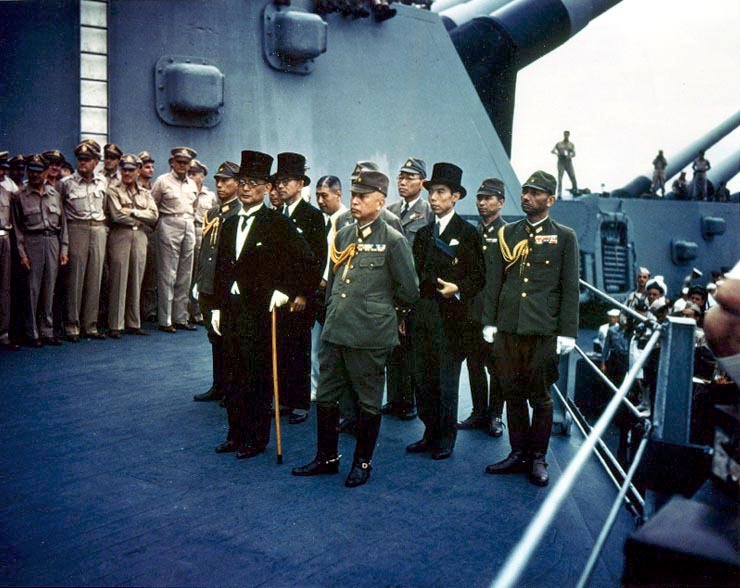 Representatives of Japan stand aboard USS Missouri prior to signing of the Instrument of Surrender. A common search query by Japanese internet users on Google is on the lines of ロシアはなぜ北方領土を返さないのか or ‘Why doesn’t Russia return the ‘Northern Territories’ to Japan.’ RBTH asked political scientists and historians who are familiar with Russia-Japan relations to explain Moscow's position. Nikolay Murashkin, a doctoral candidate at the University of Cambridge, shares these sentiments. “Russia’s official position is that the islands became Russian territory as a result of the Second World War which was lost by Japan, therefore any obligation of ‘return’ is not implied,” he says. “’Return’ is a word used by the Japanese side. Legally speaking, the only document agreed and ratified after the Second World War by both Japanese and Russian authorities is the 1956 joint declaration, which only mentions Moscow's agreement to ‘transfer,’ or ‘hand over’, i.e. not ‘return’ two islands after the peace treaty was signed,” Murashkin says. Kistanov takes an example of judo terminology used by the Russian President. “Vladimir Putin says a solution must be sought, where there are no winners or losers. For this he used the term hikiwake from judo,” Kistanov says. Hikiwake can be translated from Japanese as a drawn or tied match in judo. “The final decision must be based on the 1956 declaration. Putin acknowledged its effectiveness in 2001 during his meeting with then Japanese Prime Minister Yoshiro Mori,” Kistanov adds. The southern part of Sakhalin and the Kuril Islands, including the islands of the Southern Kuril ridge, which Japan calls the ‘Northern Territories’ - Iturup, Kunashir, Shikotan and the Habomai islets – became part of the Soviet Union as a result of the Second World War. In April 1941 Moscow and Tokyo signed the Soviet–Japanese Neutrality Pact (full text) for a period of 5 years. The Soviet Union renounced it in April 1945, 4 months before entering the war against Japan on Aug. 8, 1945. The Soviet entry into the Asian theater was decided during the Yalta Conference in February 1945. The U.S. and Britain agreed that the USSR would enter the war against Japan two or three months after Germany's capitulation on condition of recovering “the former rights of Russia violated by the treacherous attack of Japan in 1904.” That meant the return of the southern part of Sakhalin Island and all adjacent islands, including the Kuril Islands. Japan surrendered on Sept. 2, 1945, however, it is yet to sign a peace treaty with the Soviet Union. The parties held negotiations that ended with the signing of a joint declaration (full text) on Oct. 19, 1956, in Moscow. Japan ratified the document (the exchange of instruments of ratification took place on Dec. 12, 1956, in Tokyo), but later abandoned its execution, demanding to “return” of all the Southern Kuril Islands before the signing of a peace treaty.